I was checking out the latest issue of GT and saw a feature on artist Ed Luce. I love this paper doll of his Wuvable Oaf character. Has his own LiveJournal where you can check out more art and purchase his new limited edition Oaf t-shirt. 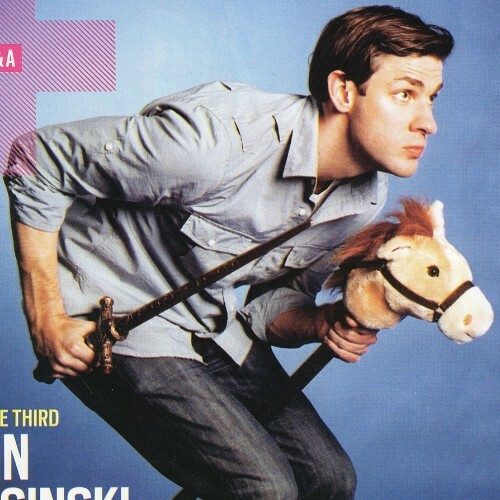 We'll be seeing a lot more of supercutie John Krasinski this summer. The hottest Dunder Mifflin employee will be lending his voice to Lancelot in the new Shrek the Third. He also trades Dwight & Pam for Robin Williams & Mandy Moore in the comedy License to Wed.
Another super hot week of Dudetube Snaps. If you haven't shown off what you got yet head on over to the sidebar and turn on your cam. Great to see CitizenDangerX and Highjackd. Wuv that wuvable oaf! Thanks for the introduction. This page contains a single entry from the blog posted on April 30, 2007 7:14 AM. The previous post in this blog was You Love Jack: Charlie & Danny. The next post in this blog is hotla69.